A new indie author’s best asset may be offline marketing. Many new indie authors either (A) don’t market at all or (B) only market online because that seems easier. With many thousands of authors marketing online, it’s hard to stand out, and the top online marketers have already built up huge followings. There are great opportunities offline. There is less competition for discovery offline, which gives you greater chances of success. Plus, there is a huge benefit that’s on your side when you market offline. Recommend your book to others (if they enjoy it). Ignore critical reviews on your Amazon product page (so if you run into bad luck with your first few reviews, this is your best chance of stimulating sales despite those reviews). The shopper has interacted with you personally, while those reviewers are unknown sources. There are many different things that you can do with offline marketing. Each book is unique, and so is each author. There isn’t a one-size-fits-all offline marketing strategy. Explore your options. 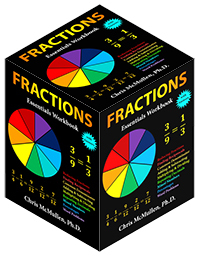 Try a variety of strategies out. Get a feel for what appears to work best for you. Here, I will describe a variety of offline book marketing ideas, and I will use a real author as an example. I bet you’ll find a few useful tips with strong potential that you hadn’t thought of before. G.T. Trickle, author of Juror 1389, has done some amazing things in the way of offline book marketing. I will highlight some of these amazing things to serve as examples and inspiration. If you’d like to learn more about G.T. Trickle, please see below. 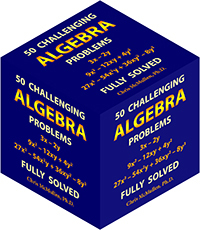 I will also show examples of specific challenges that G.T. Trickle faced in her offline marketing and how she dealt with these challenges. Strengthen your will and you, too, will find a way. Tip #1: Improve your sphere of influence. Wouldn’t it be great to have other people helping to spread the word about your book? Well, you can recruit help without begging for people to advertise your book for you. The first step is to choose beta readers wisely. Think about it: They’re reading your early draft, sharing their ideas, developing a vested interest in your book. They become intimately acquainted with your book and want to see your book succeed. If you’re just using friends for beta readers, you may be greatly diminishing your potential sphere of influence. G.T. Trickle contacted book clubs with courteous requests for beta readers. She also searched for beta readers among social groups (like churches or community groups) and other people who had influence among readers in her target audience. Imagine people who might recommend your book to dozens or hundreds of other readers in person. That could be huge! You actually prefer to have strangers in your selection of beta readers. For one, friends share a similar sphere of influence as you do, so strangers help you get beyond your friends and family. For another, strangers can give you that brutally honest criticism that you really need (and you have to prepare to cope with it so you don’t ruin this potential help). You get a second benefit from beta readers who are involved in clubs or organizations. You can offer their groups a discount. Pass out business cards, bookmarks, or brochures with info regarding how to contact you and order directly at a discount. If they’re local, they also save on shipping. One advantage of selling directly is that you may be able to entice the reader to attend a book signing, which helps to populate an event. G.T. Trickle didn’t call them beta readers. She created the 1389 Project Team (for her book, Juror 1389). The readers feel like they are part of a team, really involved in the project, rather invested in the project. They want your book to succeed. G.T. identified one team member with a large sphere of influence, and designated this person the 1389 Ambassador. The “ambassador” received a magnet featuring the book cover and “1389 Ambassador” on it, and the ambassador placed this magnet on a golf cart. This magnet suddenly became a conversation piece, as people asked the ambassador about the magnet. Another great way to improve your sphere of influence is to create an IndieGoGo or Kickstarter campaign. It’s not just about raising funds for your book, but about raising awareness and creating buzz for your book. The packages you offer can include free copies for people who again feel invested in your book’s success, and who may therefore recommend your book to others (if they like your book). When your book launches, identify people with influence among readers in your target audience and consider giving free copies of your book to them. 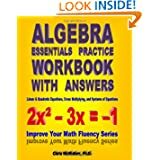 For children’s or educational authors, try to get input from teachers, educators, homeschool teachers, and librarians beginning at the developmental stages. They can be valuable in your sphere of influence. Tip #2: Take advantage of the setting and other unique features of your book. Where is your book set? If it’s a real location, people who live there (or who would like to visit that locale) may be interested in your book. In G.T. Trickle’s book, a huge retirement community in Florida was featured in the book. G.T. Capitalized on this as a marketing opportunity. She made arrangements to make an appearance at the rec center. The rec center didn’t actually permit back-of-the-room sales (most venues do), which presented a unique challenge. To combat this, G.T. visited the local Barnes & Noble. The manager verified that Juror 1389 could be ordered in the store through Ingram, and G.T. also spoke to the manager about a possible signing and stocking copies. It’s hard to get into chain bookstores, but some managers make exceptions, but the main thing you want from a chain store is support. Show them that you’re professional and at a minimum strive to foster a supportive attitude from the management and staff in case customers visit the store to order your book. G.T. was targeting retired seniors, many of whom prefer to buy or order in a store rather than Amazon, so this was important. A book can actually feature multiple locales in its plot, which helps to expand your marketing opportunities. In a locale featured in your book, approach local bookstores and other businesses for possible support. Small local stores are more likely to stock your book. Research how to prepare a press release kit. Start small and local to develop experience and confidence. Some stores will buy your books outright, others prefer consignment. You might be able to sell your book for a discount of 40 to 55% off the list price, or leave them at consignment for 35 to 40% off the list price. It’s a negotiation. You also need to discuss returns, and what happens to lost books left on consignment? If your book features a real city, this opens the door for a creative marketing opportunity. For example, G.T. Trickle created a promotion based on businesses that a character, Dorsie, visited during her book. G.T. recruited local businesses to display Dorsie was here! posters in town. This is a good selling point for businesses, too, so it’s mutually beneficial. Readers would find the signs in participating businesses. They could get a small freebie (or a discount works, too) by identifying what Dorsie ordered at the business in the novel. Small local businesses tend to be supportive, and like you, they’re looking for creative marketing opportunities. This strategy has the added benefit of helping readers “meet” the character and really immerse themselves in the story. It’s not just the setting. Where you live is also an asset. Go for local support from bookstores, other stores that may sell books, and local press (small newspapers and radio stations). Tip #3: Identify your specific target audience. Your book may have a few specific target audiences. For example, the book may be for mystery readers, but the plot may revolve around a popular sport, which gives you two different audiences to target right off the bat. For a book that involves golf, for example, golf course pro shops and golf stores may be willing to stock your book. Every book has one target audience in terms of genre, but may also have additional target audiences in terms of topic or subject. You want to market your book to all of the specific audiences which are a good fit for your book. G.T. Trickle knows her specific target audiences well. She identified them and found many opportunities to reach them through offline marketing. She was targeting anyone who followed the Casey Anthony trial, seniors, people who reside in the book’s settings, and local readers, for example. There are several sizable audiences here, and each one can be targeted differently. She created a 1389 Reader Trivia Contest (the 1389 because the book is called Juror 1389), which required people to read the novel to enter and which was relevant for a specific community in the target audience. Seniors enjoy entering contests (one of G.T.’s target audiences), so this enticed direct sales at offline marketing events. Another creative marketing opportunity that G.T. Trickle capitalized on was a 1389 pizza night at a local pizza parlor, where she was able to offer free beer to anyone bringing in a book for a signing. That’s an imaginative way to help populate a signing (and to get people to buy the book for the signing). Tip #4: Press includes more opportunities than you might realize. You should research how to write a press release and prepare a press release kit. You should contact local newspapers and radio stations. You should think of various angles that can make you or your book newsworthy. But you should also think outside the box. G.T. Trickle sought coverage in newsletters from clubs and organizations relevant to her specific target audience. Now look back at Tip #1. If you have a beta reader (I mean Project Team member) who might feel invested in your book simply from being included in the process and who also has influence in a club or organization relevant to your target audience, this improves your chances of getting featured in a valuable newsletter. For those clubs or organizations where you don’t have beta readers, a free copy of your book as part of a press release kit may be enough to garner support. There may also be magazines or minor television stations that are a good fit for your book. There are many online opportunities, too, among bloggers, online magazines, book reviewers, indie journals, etc. Tip #5: Strive to create successful events. You can have a reading or signing, book launch, or other event. Local bookstores, other stores, and libraries may offer some support, but you can also recruit help from coffee shops, restaurants, or theaters (who may benefit from the customers you bring in by selling drinks, for example), and there may also be public places like parks (great for a zombie race), but you may need to check with the city or county first. You can’t just show up as a no-name author and expect people who don’t know you to show up. Getting the support from other people as described in Tip #1 is a good way to find people to help populate a few events and to help recruit others to attend. But you don’t just want a few people to show up to an event, and you can’t expect the same group to show up to all your events. Friends, family, acquaintances, and coworkers can help a little, but you really want some strangers who are genuinely in your target audience to show up. The busier your event is, the better impression it will make on those who attend (and pulling in strangers who inquire about what’s going on), and the more people who didn’t already know about your book who show up, the more effective the event will be. You need to focus on how to draw in strangers from your target audience as well as how to recruit attendance and people with influence to help recruit attendance. You really need to build good connections in your community and to have good personal interactions. Your project team and other people who can help expand your sphere of influence (recall Tip #1) can help you hold a successful book launch. G.T. Trickle worked very hard to assemble her project team and build connections for a wide sphere of influence, and she also contacted local press with a press release kit. The result was a festive book launch with the press attending. When you interact with people in your target audience, they see your message once. What you really want is to duplicate your message, but not by repeating your message yourself. You’d really like to have other people sharing your message. This helps to brand an image for your book or for you as an author. People are more likely to buy a product they recognize. People are more likely to trust recommendations from people they know. The way to help with duplication is to recruit support from other people. Tip #1 is particularly helpful with your project team. But you can also get valuable help from local press, people with influence to whom you send free copies, online bloggers and reviewers, etc. Tip #7: Add the personal touch. You want to interact with people in person. Personal interactions may be your biggest marketing asset as a new indie author. The personal touch shows that you’re a human. It helps to generate interest in your book. It helps to generate interest in you, which can translate to interest in your book. People who interact with you personally and who enjoy that interaction are more likely to check out your book, buy your book, review your book, or recommend your book to others. They’re also more likely to ignore any critical reviews on your product page. Think discovery, not advertisement. What I mean is, if you walk into a room, don’t say, “Hey, I’m an author and I just wrote a book,” but spark up an interesting conversation and try to get someone to ask you, “What do you do for a living?” That’s a golden opportunity to mention your book. Appear confident, but balance this with humility. It’s a difficult balance to achieve, but can be quite effective when done well. You could make business cards, brochures, posters, bumper stickers, and a host of other promotional items. One of the more effective promotional tools for authors is the bookmark. Why? Because readers are more likely to actually use a bookmark, but are far more likely to throw your business card in a junk drawer. Business cards are nice, too, as they fit in a wallet. If you can find people willing to put your business card in their wallet, go for it. But you can acquire many more business cards than will fit in a wallet, in which case that bookmark may actually get used. The bookmark should be visually appealing and while it should feature your book and online marketing platform, it should also not seem like an advertisement. Overnight Prints, Vista Print, iPrint, and a host of other sites print promotional items fit for authors. Some of these have nice holiday pricing right now, too. Posters can come in handy if you can get support from local businesses. But you want to give something to everyone you mention your book to, so they can easily find your book and learn more about it. Tip #9: Sell directly, too. If you can achieve consistent sales on Amazon.com, that will be huge. But that’s not easy to do when you’re starting out. And even if you do get consistent sales from strangers at Amazon.com early on, it will still help to supplement this by reaching readers offline. 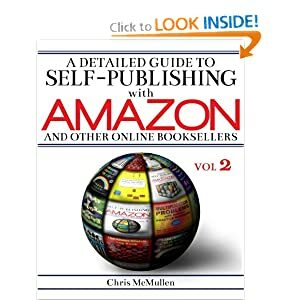 Selling directly won’t impact your Amazon sales rank directly, but enhancing your readership may give your more online and offline sales in the future. Selling directly does give you the chance to earn a higher royalty, and it also allows you to offer a discount while still earning a good (possibly still higher than Amazon) royalty. That discount can help to attract customers, and customers buying in person also save on shipping. Buy more copies than you need and buy well in advance. In the worst-case scenario, you may need to exchange defective copies, and you may need replacements for replacements. Better safe than sorry. You can find horror stories on the internet from authors who’ve booked successful events, but who hadn’t ordered extra copies or placed their orders far enough in advance. Another benefit of selling directly is that you can sign the book. Yet another benefit is that you can offer a discount to clubs, groups, or organizations (return yet again to Tip #1). Tip #10. Seek feedback on your offline marketing. You become a better marketer through experience and feedback. So don’t be afraid to ask for feedback. When you approach your first few local stores, ask for advice on your approach and pitch before moving onto the next store. In general, people like to give advice. You also need to be wise about which advice to take. Also seek advice from people who know or respect who attend your events. Tip #11. The book itself includes marketing. In offline marketing, you need the front cover, spine, and back cover to make an excellent visual impression. People will see your book stacked up at your event. It needs to attract your target audience. People will pick it up and check it out. It needs to look appealing inside. The front matter and beginning of the first chapter need to sell your book. The back cover blurb needs to compel readers to look inside. The better your story, the more likely people are to recommend it to others. Not just the story, but also the way it’s told. Selling print copies gives you added benefits. One of these benefits is that people will see your book on coffee tables, in planes, on trains, on buses, at airport terminals, and anywhere else somebody might be reading your book. The better your cover, the more likely people will ask someone about your book, and the better your story, the more likely you’ll get valuable recommendations. G.T. 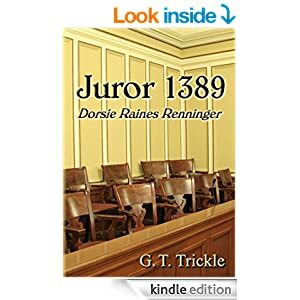 Trickle is the author of Juror 1389. She has largely focused on direct sales and bookstores, though of course her book is also available from Amazon.com, BN.com, and other online stores. Check out her website here: www.gttrickle.com. Check out her book at Amazon here: http://amzn.com/0990541606. You don’t have to imagine it. It’s called Read Tuesday: www.readtuesday.com. It most certainly is, and i can’t imagine the time spent in research. Thank YOU. I have started doing events this year, and find them fantastic fun. Plus it’s a way of seriously connecting with new readers in your genre. 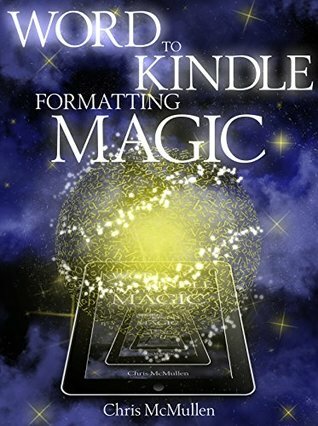 I met GT on the createspace boards, and she has been one of the most consistent sources of support and inspiration for my marketing efforts and continued writing since that time. That’s great to hear. 🙂 I find her posts that mention her marketing on the CreateSpace community forum to be quite inspiring (with infectious enthusiasm), so I’m not surprised. Absolutely! She is always encouraging and positive, but not afraid to share constructive criticism. This is a great post. We need to think outside the box. Thanks. Very practical, helpful advice. Thank you. I pinned it on Pinterest and tweeted it. It is so much more helpful to read advice in the form of someone actually out there doing it; a real book with real promo activity involving real people. It helps us to see real results and how they can be achieved. I appreciate the feedback. 🙂 It’s not easy to write posts like this, but it does seem to be worth the effort. Definitely, we can’t expect to get what we don’t ask for. Bravery isn’t always rewarded, but the more we try, the more often it is rewarded (and the more often we fail, the more we might find ways to succeed). Love best the tip about asking friends to talk about my book and also bookreading clubs. Never thought of that. I’m glad you found this helpful. Good luck with your books. Great list of strategies for authors. Thanks for sharing. I surely agree with #3 and #11.